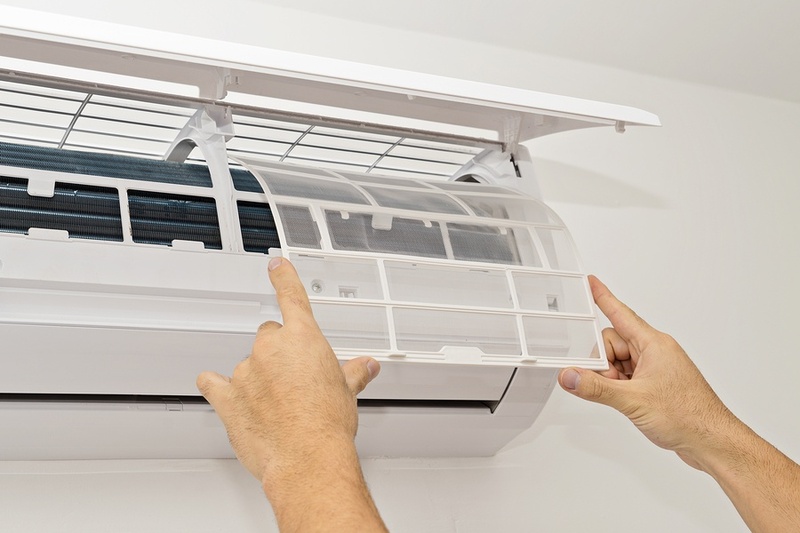 Inspect your cooling system and overhead fans to ensure they’re running smoothly. Be sure to dust the ceiling fan blades and reverse the blade rotation if necessary. Your fans should be rotating counter-clockwise for summer, as this pushes the air downward. Clean your outdoor grills. For a gas grill, turn the heat up to high, close the lid and let it cook for about 30 minutes. After that, let it cool, then brush off the residue with a grill brush. Charcoal grills should be emptied of any ashy residue and then cleaned with hot water and liquid dish soap. Look for standing water and get rid of it to prevent mosquitoes in your backyard. Las Vegas saw a spike in its mosquito population in 2017, so be sure to empty standing water from plant saucers, buckets and similar surfaces. Reorganize the kitchen to reflect summertime treats. Blenders for smoothies, ice cream makers and chip bowls should be moved to an easily accessible spot where you’re more likely to use them. Spruce up the bathroom with a fresh shower curtain, towels and fresh-scented hand soap. Be sure to have plenty of sunscreen and body lotion available, as well. A wallflower with a floral or fruity scent will invigorate the senses for summer. Pool parties mean lots of wet towels. Set up a designated spot to dry beach towels and bathing suits. This can be accomplished with an outdoor towel rack or hooks, which can be fastened directly to your exterior wall. Lighten things up all over the house by rolling up heavy rugs, putting lightweight linens on the beds, giving the porch or patio a fresh coat of paint, and washing the windows. Place a bright summer-themed doormat at the front and back entryways for a fun welcome. Prepare for a safe poolside summer by checking that handrails and ladder step treads are secure, and by removing trip hazards around the pool, such as miscellaneous toys. Regularly check the water with an approved pool water test kit to ensure proper chlorine and pH levels. Have your attic checked for adequate insulation. Proper insulation is important even in the summer, as it can reduce your energy costs, eliminate air leaks and keep the cool air in. Give your windows and patio a stylish update with interior and exterior shades. Choose from manual and motorized options to control the sunlight, reducing glare and heat. This is another way to lower your energy bill this summer.